Nick LaRocca, Jr., age 79, went home to be with his Lord on Friday, February 8, 2019, in Houston, from complications associated with cancer. Nick was born in Beaumont to Lottie and Nick LaRocca. 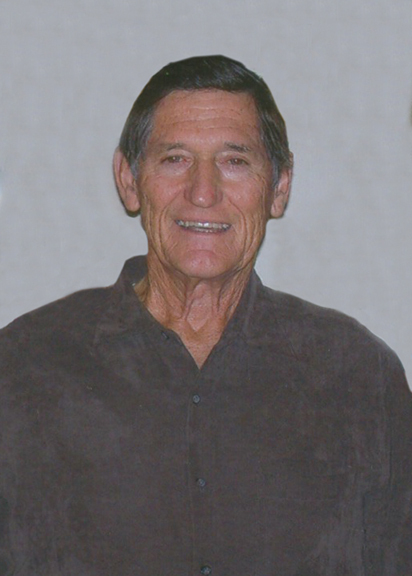 He graduated from Beaumont High in 1957, and later graduated from vocational school as an electrician. Nick enlisted in the United States Navy in 1958 and honorably discharged in 1964. In 1975, he started a successful electrical contracting business and retired in 2001. Nick enjoyed keeping his yard well-manicured, riding his motorcycles and in recent years he and his wife, Beverly, looked forward to camping at the lake in their RV. Another favorite pastime was sitting in his recliner with four-legged baby “Zoey” on his lap. Once a year he and Beverly went to the Navy Reunion of the “Hornet Sparkies” to a fun location. Nick is survived by his beloved wife of forty-one years, Beverly LaRocca, of Beaumont; brother, Sam LaRocca and his wife, Mary Lou, of Lumberton; sisters, Charlotte Raybon and her husband, Kenneth, of Orange and Mary King and her husband, John, of Katy; and many nieces and nephews. He is preceded in death by his parents; and brother, V.T. LaRocca. A gathering of Mr. LaRocca’s family and friends will begin at 2:00 p.m., with his Rosary recited at 4:00 p.m., Tuesday, February 12, 2019, at Broussard’s, 1605 North Major Drive, Beaumont. A private committal will be held at Houston National Cemetery, Houston at a later date. Lee and Gina Acevedo Jr. I am sorry to hear of Nick's passing. Started working around Nick in the early 70's at Lamar Electric Co. . Nick was one of the best electricians I have ever known. His attention to detail and order was amazing. Don't think I ever saw Nick when he wasn't smiling. Above all he was a loyal friend for 45 years. May our Lord bless your family in your time of sorrow and always . Rest in Peace My Friend. Our thoughts and prayers go to the family , IBEW 479 RETIREES CLUB. My love and prayers to you and his family.